Hate to break it to you... big or small we have them all. So stop stressing! We all have it in varying degrees. I had one thin friend who had it because she had a baby. I have another regular size friend who have it and she don't know how. Big women have this as well. So why stress over something that all women have? Even these celebrities have them. Salma Hayek, anyone? 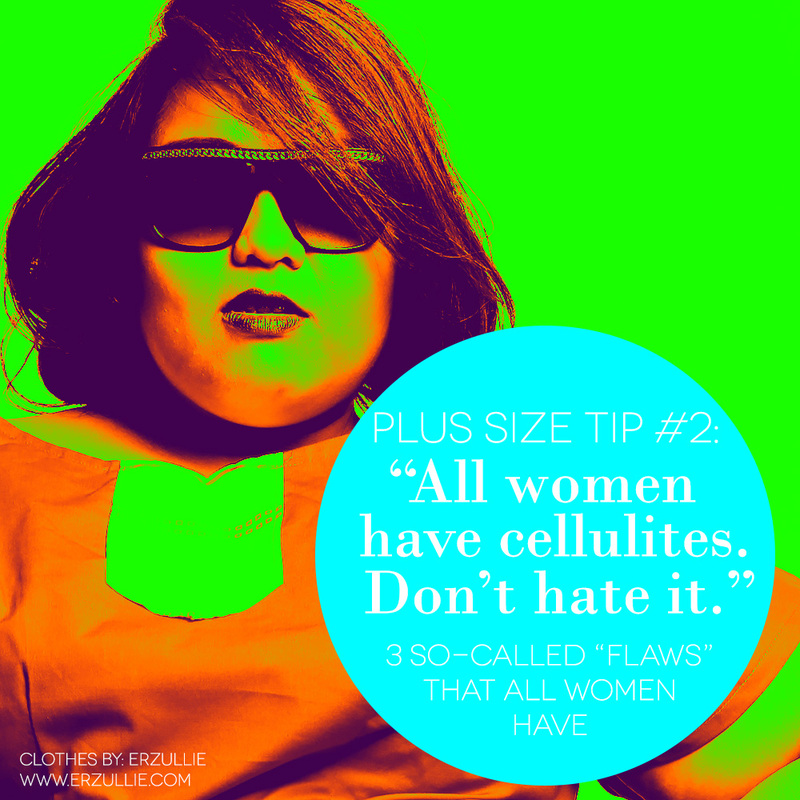 We all have cellulites. Some more than others. I'm pretty sure that even the women in the Miss Universe pageant do. Even this athlete and health obsessed woman does: The Dirty Little Secret Of The Female Athlete. So quiet that inner critic and embrace the fact that this is common. So if you think you are ugly because of it, do you think other women are ugly too for having it? I'm pretty sure deep inside you know that you don't. Why? Because you are more than just your cellulites. Just check out the great Cindy Crawford. You wear clothes. You go out. You get money. You go home. Chances are the sun hits you on the spot where your clothes stop. Chances are you become more than in one part of the body than the other. Chances are everyone is like this. Even more bigger of a chance --- NO ONE CARES. Why? Because everyone is actually very busy to figure out if their officemate has an uneven skin tone. It also varies on what lighting you are under. Just check this out. So stop stressing about your "so-called flaws" time to get a bit kinder to yourself --- don't you think? Everyone has it. These things --- make you normal.